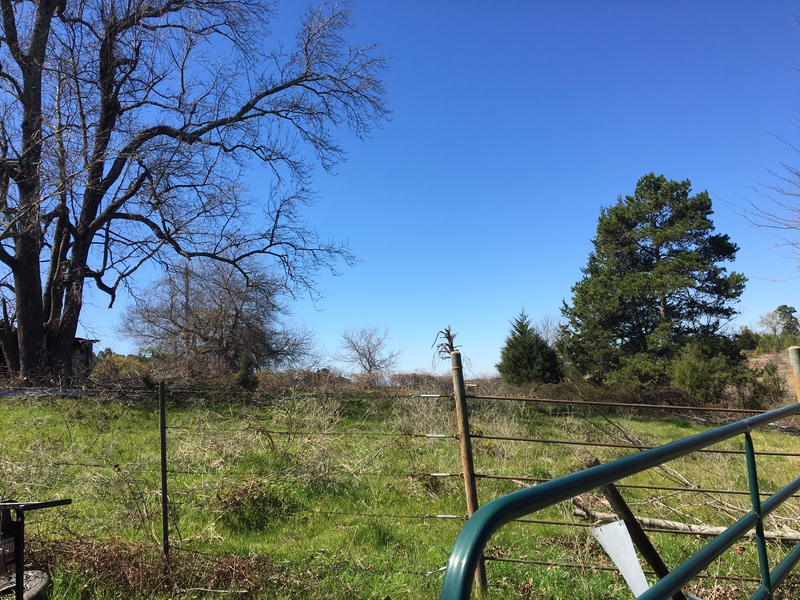 A beautiful day to work on clearing brush out of the fence rows, so that we can add goat proof wire. CC and I broke out the hand and electric clippers and got a good portion done. Then we worked on dragging off a bunch of the brush that CC had already cut. A lot of people thought that we were buying an ATV for fun, but have revised their opinions as they’ve watched how much we use it for work around the place. We use it for riding the fences, skidding brush, and toting fencing supplies. Having the fence up on this portion will also allow us to keep the goats under the barn at night as opposed to the shed we built, which is rapidly becoming inadequate. It will be nice to have everything in one place as well. Right now, we’re having to haul feed and water and lead the goats to the milking stanchion. Once we have the fences set up, we’ll be able to call them into the barn and simply pull them through a gate to the milking area. It will also provide a little more than double the area they have right now. I plan on rotating them from one pen to the other, so that the grass and forage has time to grow back some in between. This will also help with keeping parasites down. Eventually, we’ll add another large pen and combine these two (read: more goats), but for now it is working really well. Posted by Dare Greatly on February 29, 2016 in H.S.H.